Microsoft Dynamics 365 fits your business and enables you to grow at your own pace in the cloud. Dynamics 365 provides an integrated view into business processes from the manufacturing floor to sales, to service. Processes can be changed and evolved in real-time using a modern, consistent, and proven extensible platform so companies are not held back by legacy technologies. Through the common data model, applications can be custom-built or extended with PowerApps and Microsoft Flow. Or find industry and role specific extensions for Dynamics 365 in the AppSource marketplace. This integration results in connected systems that give employees information for their role when and where they need it. 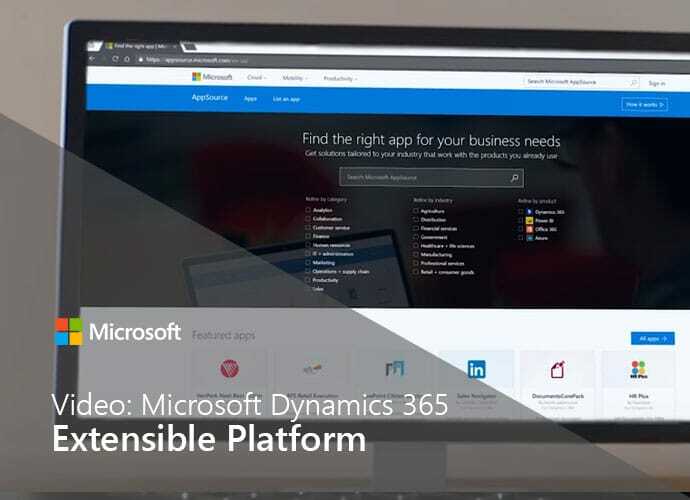 Dynamics 365 enables you to adapt to new business models, customer needs, or market trends.